The mountains in Scotland that have a height between 2,500 and 3,000 feet high and have a drop over at least 500ft on all sides are referred to as Corbetts. Named after the original list compiler, J. Rooke Corbett, the Corbetts are the Scottish hills that have a height of at least 2,500ft but are under the Munro height of 3,000ft. Corbetts also have a drop of 500ft (or 152.4 metres) on all sides (called 'prominence'). There are currently 222 Corbetts. There are also Corbett Tops, which can also be subsiduary peaks on Munros ! You may think that these hills would be duller than the higher Munros, and in some cases you'd be right. However, there are some fantastic Corbett mountains : the Cobbler, Quinag, Beinn Damh, Fionaven, Arkle and Goatfell to name but a few. After re-measurement in early July'16, Cnoc Choinnich (near the Brack and Ben Donich) was given a revised height of 764m (see this article), so a new Corbett peak arrived ! See the tabs above to get the Corbetts listed by region, name and height. We'll be adding some new categories soon (eg 'Best Corbetts') ! 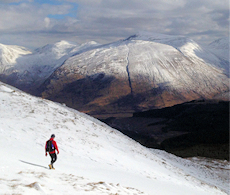 See all the Corbetts and other hills on an interactive map. 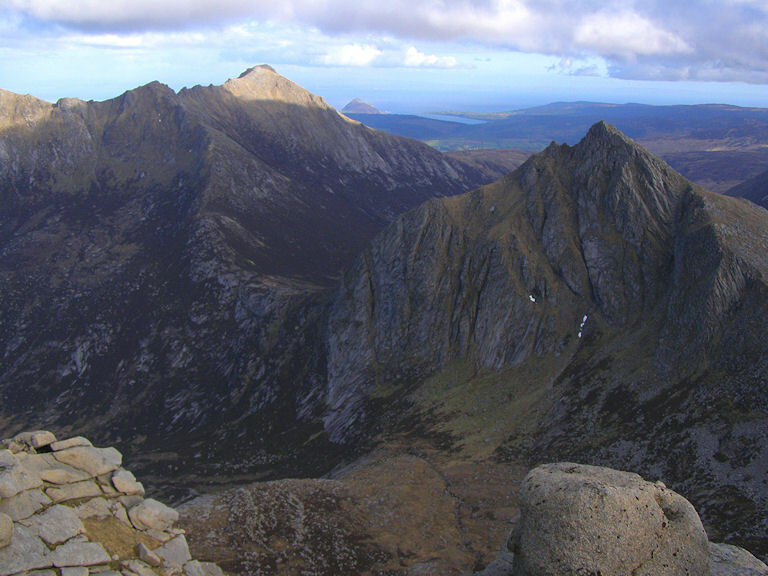 Download a list of all the Corbetts ready for you to tick off (xls) ! Database of British and Irish Hills - not just Munros and Corbetts, but lots of hill-lists throughout the UK and Ireland. The Corbett Round 2009 - Manny Gorman's blog on setting the record for the fastest round of Corbetts. 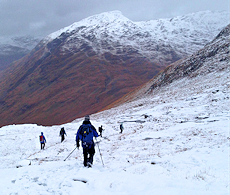 Munro Magic - Can't find the Corbett route you want in this website ? Well try here instead.